Businesses often have special needs when it comes to garage doors. If you need commercial or industrial garage doors in Portland, you want to come to a company you can trust. Oregon City Garage Door has been providing garage doors for businesses in Portland for decades and we pride ourselves on offering durable, efficient commercial service doors that Portland businesses can rely on. 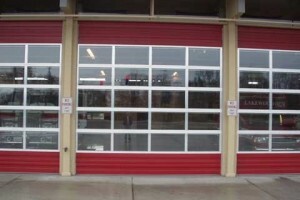 Whether you need full-view doors, roll-up doors, fire doors or some other type of commercial or industrial door, call on Oregon City Garage Door for help. The Architectural Series: Full-view doors with a modern, industrial design. Energy Series With Intellicore: Made with reinforcing and energy-saving Intellicore foam to insulate and block heat transfer to and from your facility. Fire Doors: Protect your inventory and satisfy building code requirements with these sturdy and highly fire-resistant doors. You’ll also find virtually any other type of garage door you might need for business, including roll-up sheet doors, counter shutters, service doors and more. Don’t forget to ask about specialty items such as flap panels for doorways that require more flexibility. Our goal is to accommodate all of your commercial garage door needs and we will do whatever it takes to make that happen. No commercial garage door is complete without a quality commercial garage door opener or operator. 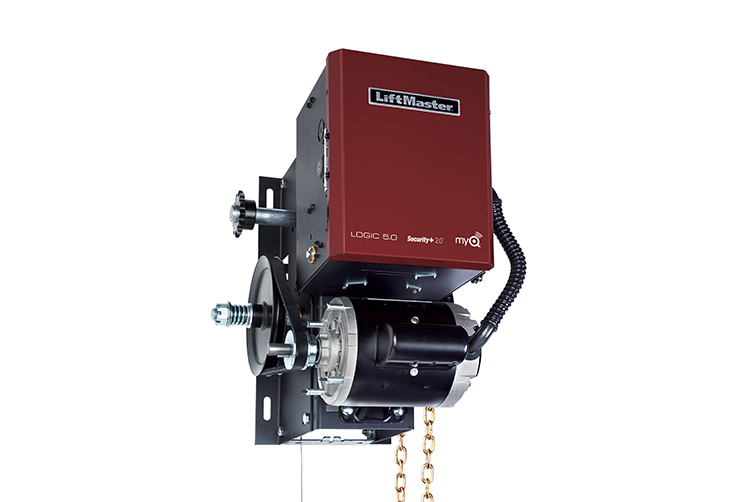 Our LiftMaster® operators are designed for the rigors of industrial work and will smoothly and quickly raise and lower your door reliably day after day, multiple times a day if necessary. These commercial garage door openers and operators are durable, affordable and the perfect complement to your new commercial garage door. If you’re operating with a commercial garage door that is old, breaks down frequently or otherwise doesn’t meet your needs, it could be hurting your business. A commercial garage door that doesn’t open or close quickly enough can present problems for your workflow and frustrate your employees. One that doesn’t reliably open or close can create serious safety and security issues. You owe it to yourself and your business to invest in the best commercial garage door and commercial garage door opener you possibly can. That’s what we’re here for. We’ve been providing garage doors to the Portland area for over 25 years and our reputation for quality work and top-notch service is unquestioned. We can find just the commercial garage door products you need and install them the right way, the first time, so you can focus on your actual business. To learn more about our commercial door products, just give us a call at 503-632-3070 or contact us online now.